I have an embarrassing confession: I used to hate Halloween. Well, “hate” is too strong a word, but I wasn’t crazy about it. My wife for most of our marriage was much more enthusiastic about the holiday. Jeaneth would expend great effort and creativity on our son’s costumes — such as her brilliant papier-mâché “Halo” Master Chief armor — and on our house’s spooky lighting and sound effects. Then she’d send the kid and me off to trick-or-treat while staying behind to hand out sweets. 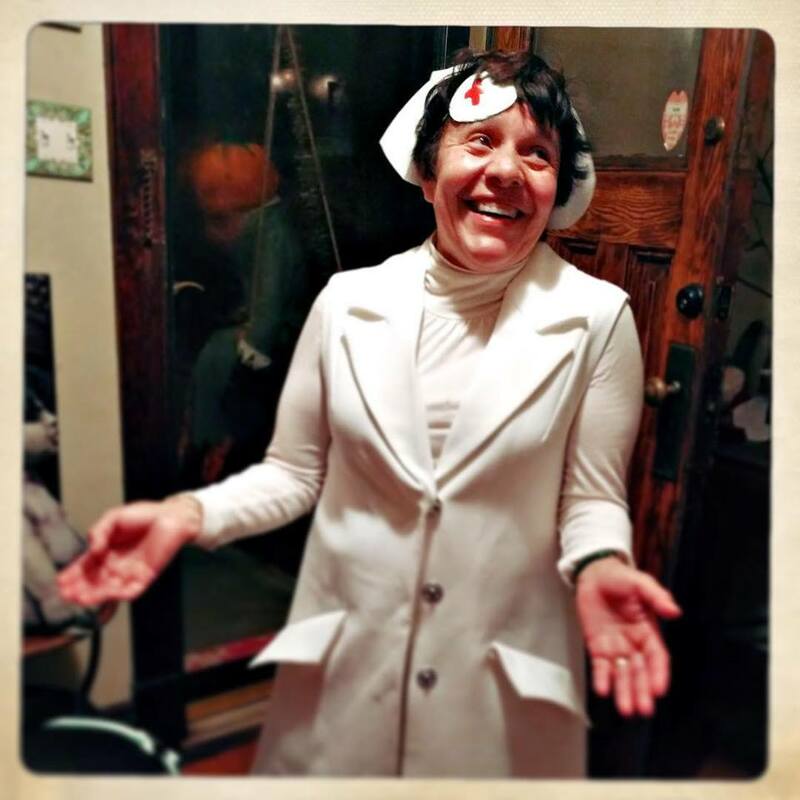 She felt it important for our family to be candy givers as well as candy receivers, and seeing wide-eyed costumed cuties tramp up our steps always made her night. She even dressed in costume for the occasion. Meanwhile, I’d bond with my kid. That part was great, but being out in the autumn cold wasn’t. I was relieved to get home. 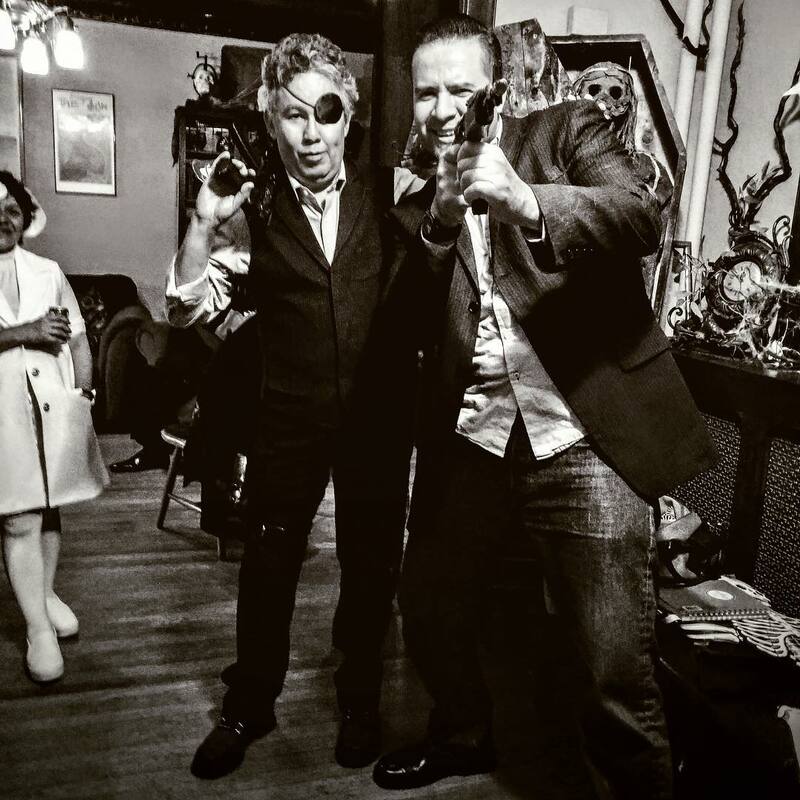 I didn’t fully grasp what all the Halloween fuss was about (though that one year the kid and I dressed as the Fourth Doctor and the Tenth Doctor, complete with sonic screwdrivers, was kind of cool). Is there a Halloween equivalent of a Grinch? Yep, I guess that was me, at least to a degree. 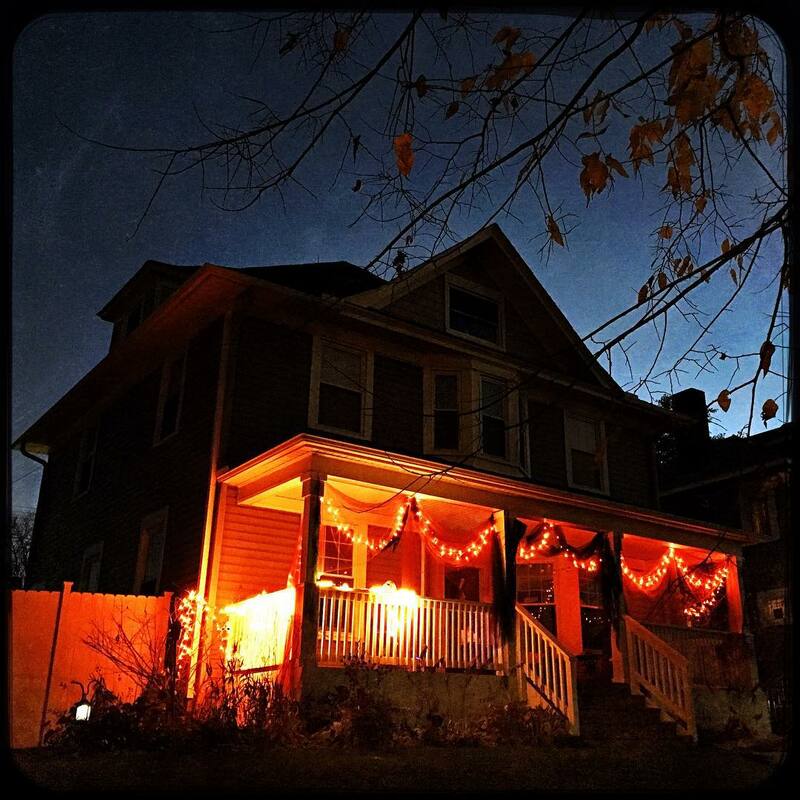 When our son grew older and lost interest in trick-or-treating, I was happy to put Halloween behind me. I’d go do some reading or writing while my wife handed out the candy. Last year, though, a couple of magical things happened to change my view of this holiday. First, the missus and I got invited to an amazing Halloween party hosted by our friend Victoria, who is obsessed with the holiday. This is her favorite time of year. She picks a theme for each year’s gathering, and all her guests dress accordingly — and often spectacularly. 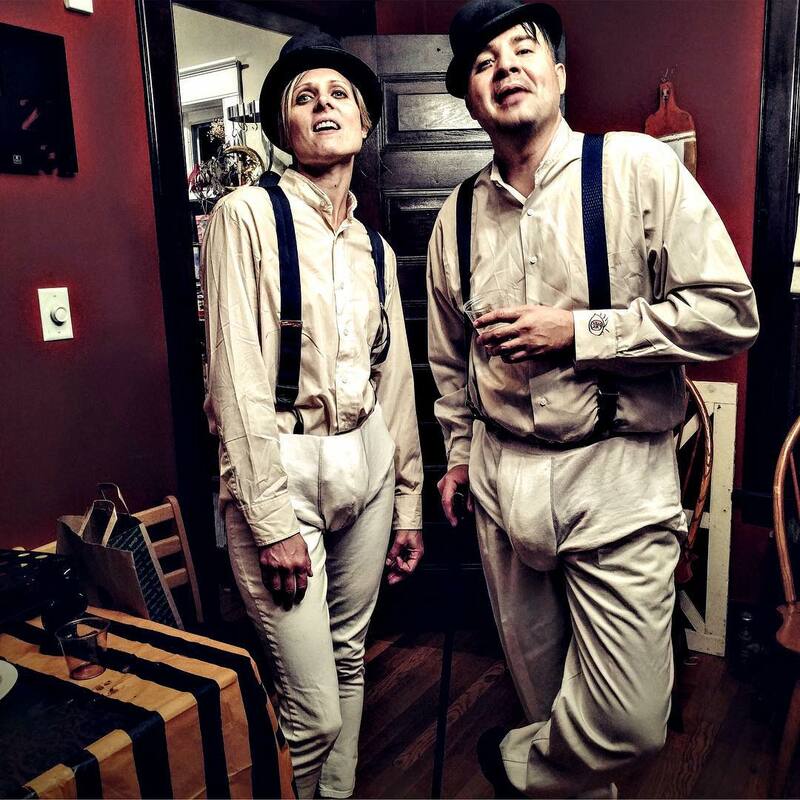 Hanging out with all of these dressed-up people (including several other friends), I began to realize what I had been missing. I started to understand that Halloween is, quite possibly, the best holiday of the year. Second, I decided to be a good sport and throw on a coat to hang out with my wife on the front porch as the candy-crazed hordes streamed towards our house. And you know what? I had a blast. Making an effort to spend more time with my mate is never a bad thing … and those costumed cuties started to grow on me (as my heart grew three sizes that night, or something). This year, we did it all again. We were almost delirious with anticipation at attending Victoria’s 2015 bash, which did not disappoint. 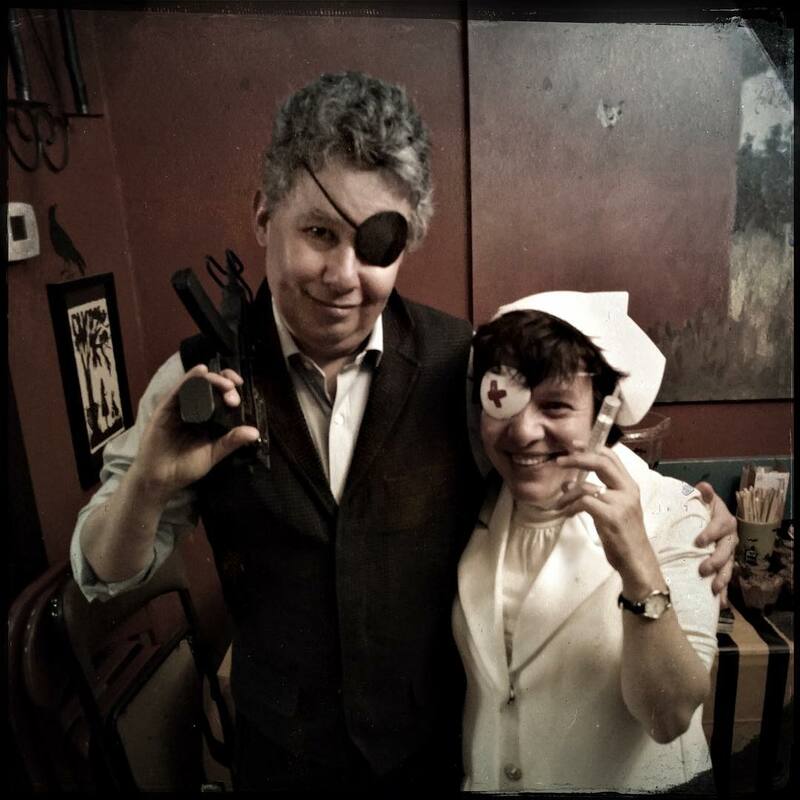 Guests this year were required to dress as villains, so my wife and I opted for his-and-hers eyepatches — as the Governor from “The Walking Dead” and Elle Driver from the “Kill Bill” films. My wife looked gorgeous as a character that somewhat matches her personality (which is one reason I adore her). The other guests’ costumes were amazing. 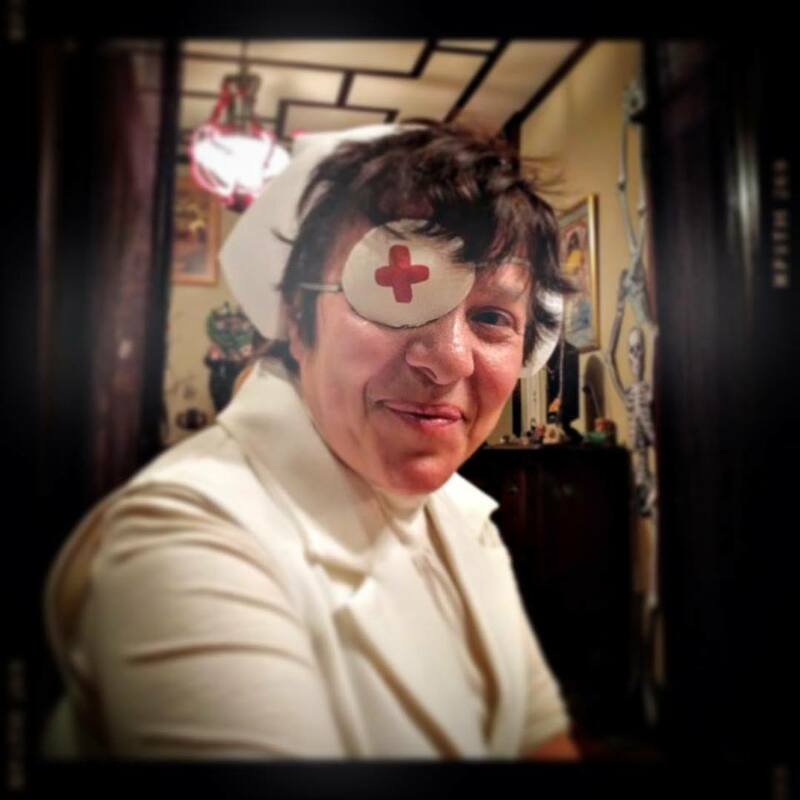 The next day, on All Hallow’s Eve, I bundled up to assist my beloved with her Halloween-hosting duties. She has lost none of her enthusiasm for this even though our son is now a high-school senior … and sharing in her excitement made for a night I will never forget. I had lost sight of this as a too-serious adult who often kept his nose buried in his iPhone when his son needed a playmate, and felt impatience with all of this Halloween foolishness. Ah, but foolishness is good. Foolishness is the point, for grownups as well as children. I’ve been learning this lesson from a number of people. See that heat I’m packin’ as the Governor? My friends Jason Thomas and Lisa Antony-Thomas lent me those replica firearms. 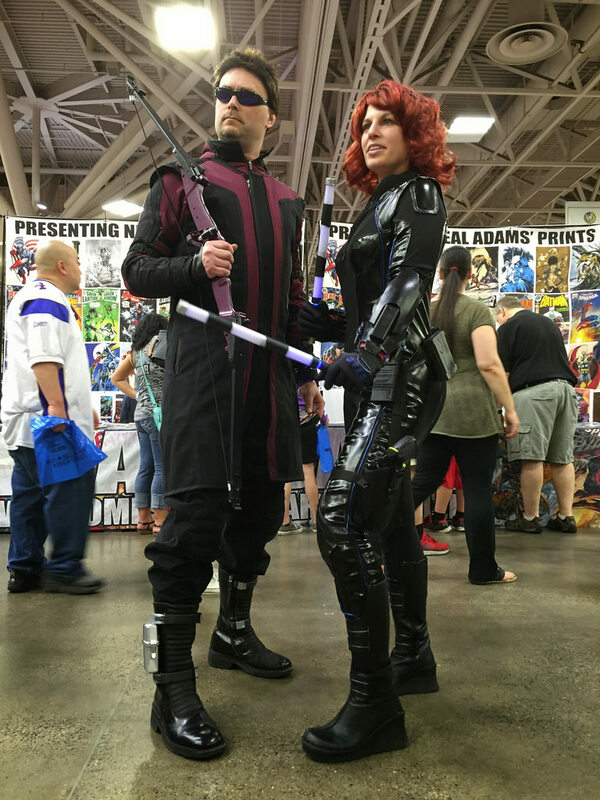 The husband and wife are members of a Twin Cities costuming club called Minnesota Superheroes United. As such they are play experts, play ninjas, as I have documented in articles, posts, pictures and videos. My neighbors are teaching me how to play, too. Victoria is one such, and a number of others have assisted in this capacity. 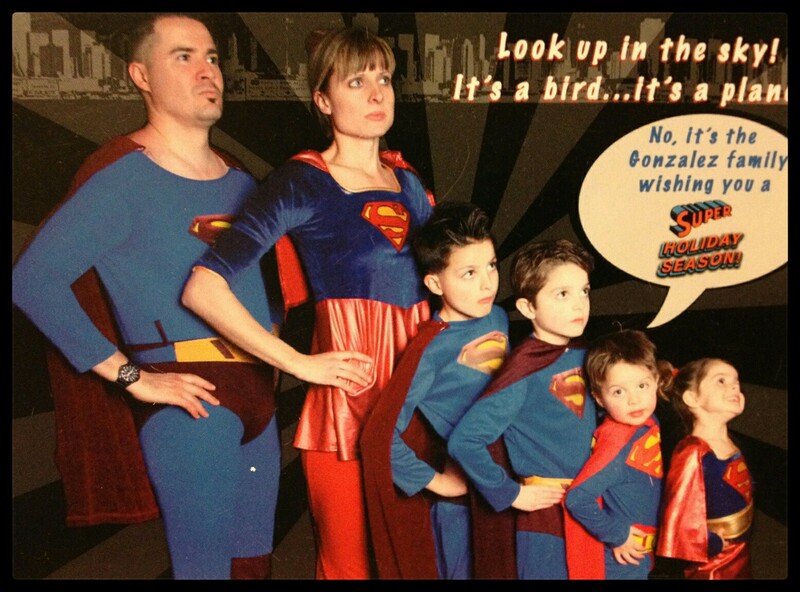 I am fortunate to live near a Klingon warrior and a whole family of supers. 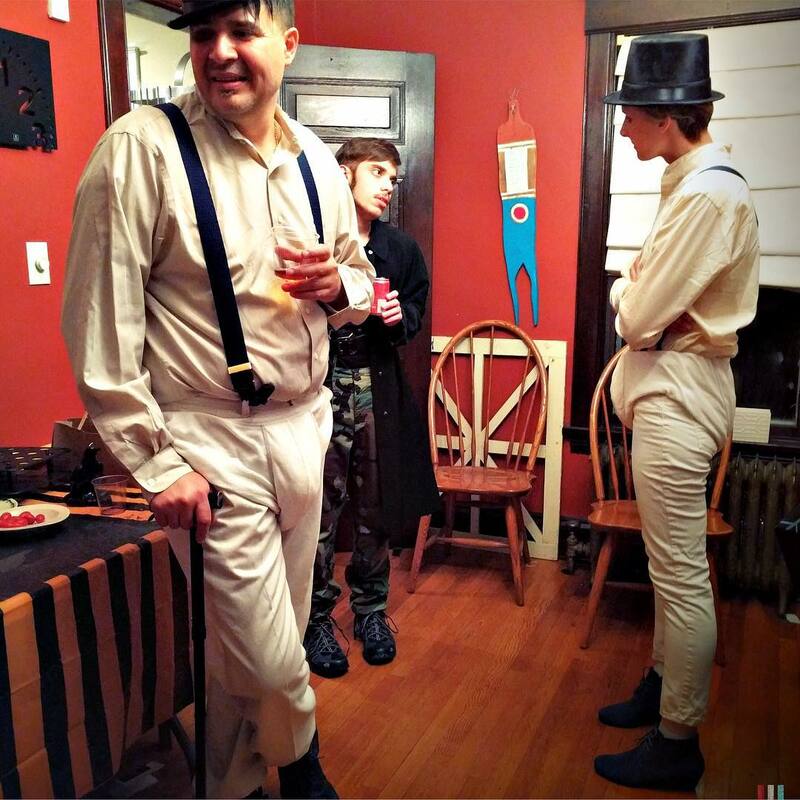 My friends Colleen and Don, featured in this last blog post, are the ones dressed as “A Clockwork Orange” droogs at Victoria’s party. Now those guys know how to play. But no one is more kid at heart than my wife, who has befriended several of our little neighbor girls, and has become their sometime playmate as well as a mentor of sorts. My wife’s capacity for child-like silliness has me in awe. I love seeing little joy-filled moments of a beautiful life! So often people seem to be distracted by the tyranny of the day-to-day hustle and we miss these opportunities … she seems to take them all in, celebrating and respecting them … a lovely role model for us all to learn from. Thanks for sharing.